Use this map to help you locate the home that's right for you. Click on the image to download a PDF version of the map, then read through the community descriptions below to learn a bit about each community and its unique location. The numbers on the map correspond to the key below. The Greenery is Cincinnati’s best kept secret! Tucked back among 3.5 acres of wooded privacy, and across from Cincinnati’s oldest golf course Losantiville Country Club, The Greenery is within walking distance to the Pleasant Ridge Entertainment District, 2.5 miles from Oakley Square, 3.5 miles from Hyde Park Square, and just down the street from Amberly Village and its wonderful parks. I-75, I-71, and Ronald Reagan Highway are just minutes away making the convenience of this location hard to match. The Greenery is Central Cincinnati’s first “green” apartment community with the addition of solar panels. Other renovations include all new windows, new landscaping and lighting, new entranceways, restored hardwood flooring throughout each apartment, high-gloss black cabinetry with new appliances including a dishwasher, new bathrooms with pedestal sinks and circular steel-rimmed mirrors, unique light fixtures and ceiling fans, and much more. Floor plans include large 1 and 2 bedroom apartments with fantastic closet space and separate dining areas adjacent to oversized kitchens. Plus, The Greenery offers on-site laundry facilities, storage lockers, and private parking. Reserve your new place today! These restored Art-Deco apartments are walking distance to Nine Giant Brewery, Share Cheesebar, Rotisserie Revolution, Molly Malone's, Coffee Exchange, Overlook Lodge, and so much more, in the up-and-coming Pleasant Ridge neighborhood. And, The Majestic is just 1.5 miles from Oakley Square and 2.5 miles from Hyde Park Square. Each apartment home features new hardwood floors throughout, restored bathrooms with new pedestal sinks and sconce lighting, restored kitchens with new maple cabinetry, stainless steel countertops, and black or stainless steel appliances. Plus, you’ll find energy-efficient, low-voltage lighting throughout. Also, the Majestic on the Square has private and attached garages available for an additional charge or free private off-street parking. Best of all, there are multiple floor plans from which to choose. And you’ll enjoy the convenience of our on-site laundry center with its new commercial machines. If you appreciate unique architecture and design, you will love The Majestic on the Square in Pleasant Ridge. Reserve your new place today! 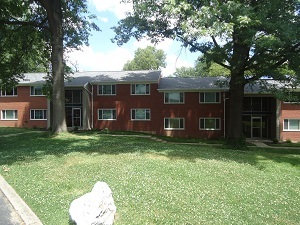 Unique, upscale, and affordable, these 1 bedroom apartment homes are nestled into a wooded setting in Pleasant Ridge with direct access to Red Bank Road, I-71, and the Norwood Lateral. Within walking distance of Park Ridge Place are two great Cincinnati Parks: Drake Park, ideal for large get-togethers with views of the valley, or Woodford Park where you enjoy a game of tennis or shoot some hoops. 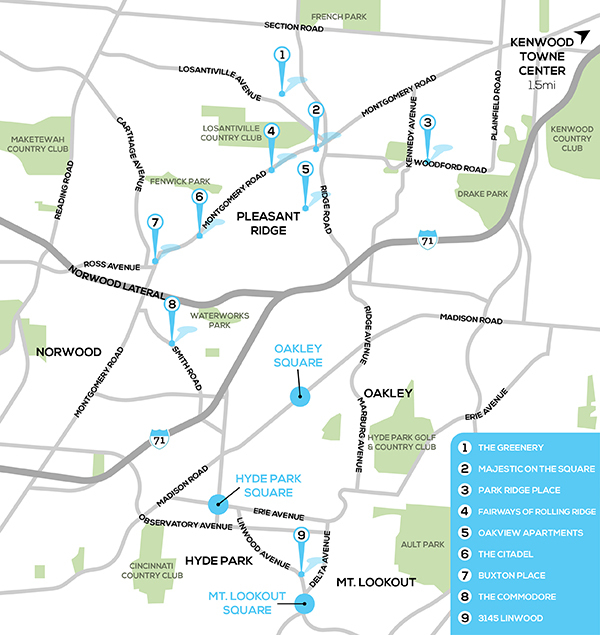 Just five minutes away, you’ll find premium shopping at Cincinnati Mills, Kenwood Towne Centre, and Rookwood Commons. Also just minutes away are employers such as Seven Hills Schools, 5/3rd Bank Processing Center, and Coca Cola distributing. Park Ridge Place is truly in the heart of it all. Inside, you will find all new renovations including IKEA lighting, faux concrete countertops over maple cabinetry, beautiful red oak hardwood floors throughout, and brand new bathrooms. Each apartment also has a large, brand new balcony. Plus, Park Ridge Place offers private parking, excellent site lighting, secured entrances, newly decorated hallways, and a new laundry center. Reserve your new place today! 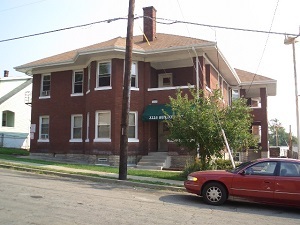 At Fairways of Rolling Ridge, you’ll discover beautifully renovated apartment homes located within walking distance to Losantiville Country Club Golf Course, one of Cincinnati’s oldest courses, built in 1902. 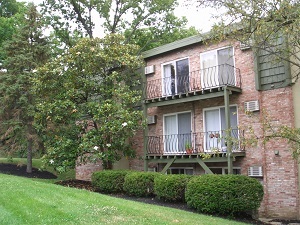 All apartment homes have been renovated with new hardwood floors throughout, new Brazilian ceramic tile in the kitchen and bath, new maple cabinetry and Frigidaire or Whirlpool kitchen appliances, new bathroom vanities and lighting, balconies or patios with new patio doors, and abundant closet space with oversized closets. You’ll enjoy the lush landscaping at The Fairways, along with private parking, and an on-site laundry center with new commercial machines. Choose from multiple floor plans, each uniquely their own. Reserve your new place today! 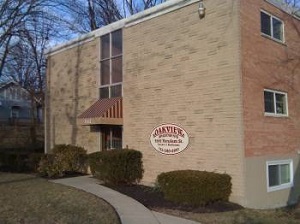 At Oakview Apartments, you’ll find updated apartments with lots of charm. Nestled into a quiet cul-de-sac in a wooded setting, each apartment has hardwood floors throughout with an exposed red brick wall in the family room and bedroom. 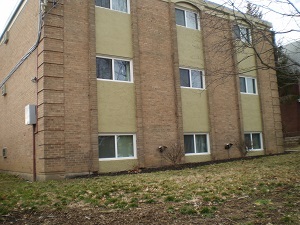 The building has secured entrances, and each apartment has an assigned spot in our private parking lot. Our on-site laundry center is outfitted with new commercial machines for your convenience. Located in the heart of the historic Indian Mound District of Norwood, The Citadel is a wonderfully renovated Tudor-style building. Choose one of two enormous apartments boasting 1,000 square feet of living space. Beautiful decorative, but inoperable, fireplaces are the focal point of every home. Each apartment offers refinished hardwood floors throughout, new lighting, updated bathrooms and kitchens, and textured walls. 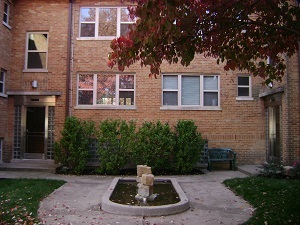 All residents enjoy the use of a quaint and private courtyard perfect for grilling, sunbathing, and entertaining, along with the convenience of an on-site laundry center equipped with commercial machines. Plus, each 2 bedroom apartments receives two reserved parking spaces. Reserve your new place today! Studio and 1 Bedroom Apartment Homes. Buxton Place is a historic building located just across the street from the Linden Pointe. It’s also within walking distance of Surrey Square which features a Super Kroger, Chipotle, Skyline Chili, and much more. At Buxton Place, you’ll find updated studio and one bedroom apartments with a large balcony, old world charm and an abundance of character, and unique features such as hardwood floors, tall ceilings, and pocket doors, Buxton Place is a wonderfully eclectic building where no two apartments are alike! Residents appreciate the on-site laundry center with its new commercial machines. Reserve your new place today! 1 and 2 Bedroom Apartment Homes. The Commodore is located off I-71’s Smith/Edwards Road Exit, near the corner of Smith Road and Floral Avenue. Just one mile from Rookwood Commons and Rookwood Exchange, The Commodore’s location offers residents great access to some of Cincinnati’s best shopping, entertainment, and restaurants, including P.F. Chang's, The Pub at Rookwood, Taste of Belgium, and so much more. Renovations include new windows and patio doors, restored or replaced hardwood floors throughout each apartment, high-gloss black cabinetry with new appliances including a dishwasher, new bathrooms with black vanities with glass top sinks, chrome mirrors with storage, and much more. Floor plans include studio, one, and two bedroom apartments with abundant closet space, separate dining areas adjacent to the kitchens, and large balconies. On-site laundry facilities, a newly expanded parking lot, storage lockers, and locked entrances are additional features you’ll enjoy. Reserve your new place today! You can’t get any closer to the center of Mt. Lookout Square than at 3145 Linwood Avenue! 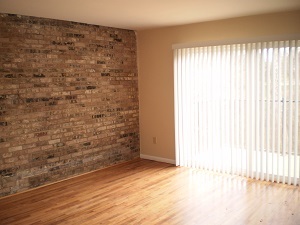 Here you’ll enjoy hardwood floors throughout with ceramic tile floors in the bathroom. New kitchens boast black or stainless steel appliances. The focal point of each home is an amazing, although inoperable, Rookwood fireplace. 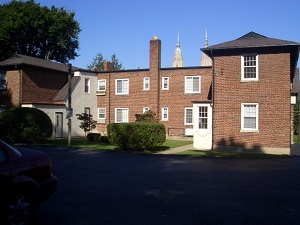 Both the 1 and the 3 bedroom apartments include private off-street parking. 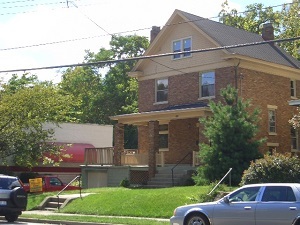 Residents have access to a large shared front and side porch, along with a private backyard. The building has a new central heat and air conditioning system along with all new windows for sound and weather proofing. And bonus – there’s a free on-site laundry. Reserve your new place today!